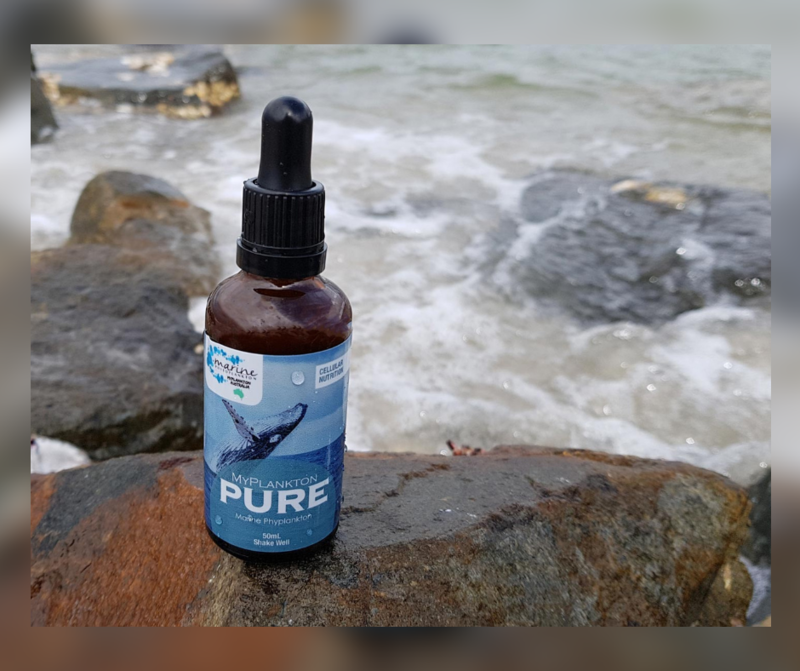 Pure Marine Phytoplankton contains high levels of antioxidants and anti-inflammatory micronutrients that stoke the fires of the Mitochondria where cells obtain energy to fuel metabolism and detoxification. Mitochondria are known as the powerhouse of the cell, its function is to take in nutrients from the cell, break them down and turn it into energy. 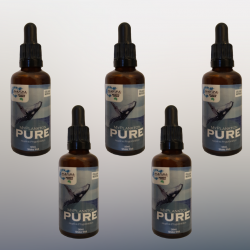 Pure Marine Phytoplankton is highly beneficial for supporting cellular health and promoting energy and vitality. 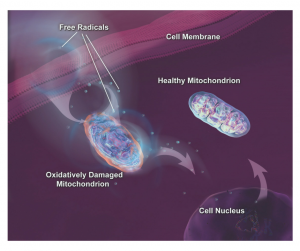 When Mitochondria fail, less and less energy is generated within the cell. Cell injury and even cell death follow. If this process is repeated throughout the body, whole organ systems begin to fail. The parts of the body, such as the heart, brain, muscles and lungs, requiring the greatest amounts of energy are the most affected. Phytoplankton is one of the most valuable sources of nutrition on earth. It’s incredibly high in nutrition and health benefits, marine phytoplankton delivers energy directly to the body’s cells. 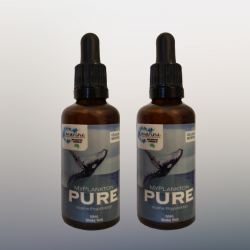 Just 1mL of our PURE contains 200mg of pure organic marine phytoplankton – it is seriously potent and highly beneficial for supporting cellular health and promoting energy and vitality. Over dependence on solely land-based food sources often lead to deficiencies in micro-nutrients and trace elements. 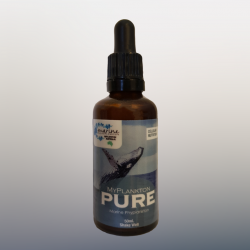 Marine Phytoplankton promotes and maintains optimum health by boosting and supporting all systems within the body. The elements and electrolytes in marine plankton are almost tailor-made for the human body and it is no coincidence that the composition of human plasma is similar to that of seawater. Phytonutrients exhibit potentially promising effects in human physiology. Phytoplankton contains the Omega-3 essential fatty acids DHA (docosahexaenoic acid) and EPA (eicosapentaenoic acid) and it contains nearly double the amount of omega-3 fats by weight as fish oil. Phytoplankton are rich in amino acids, antioxidants, minerals and omega-3 fatty acids (specifically EPA and DHA). When it comes to keeping your heart healthy, these are some of the top things that you want to get on a daily basis from your diet and supplements. Omega-3 fatty acids are especially important to heart health, but unfortunately, the body can’t make them on its own so you need to make sure you consume enough. According to a Harvard Heart Letter, the “marine fatty acids” known as EPA and DHA have a number of potential heart benefits, including easing inflammation, ensuring a steady heartbeat, preventing the formation of dangerous or even deadly blood clots, and lowering triglyceride levels. By consuming phytoplankton, you quickly and easily increase both your EPA and DHA levels, helping reduce the risk of coronary heart disease. 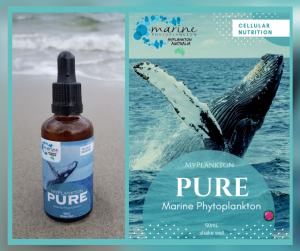 Pure Marine Phytoplankton farmed organically in Australia – No Fillers, No artificial colours, flavours, sweeteners or preservatives. Vegan friendly. Non-GMO. 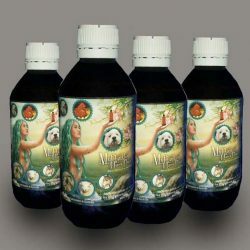 Packaged in a 50mL Glass Bottle with Glass Dropper. 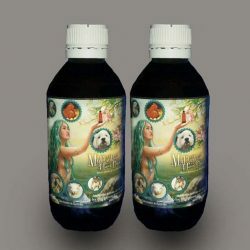 Marine Phytoplankton is one of the most ancient & nutritious food sources ‘from the ocean’ and so to enhance the efficacy and experience of Pure Marine Phytoplankton we added a few drops of Pure Bulgarian Rose Oil, 100% pure and natural steam-distilled rose oil, extracted from the petals of one of the rarest and most precious flowers in the world, the Bulgarian Rose Damascena where it has been distilled for over 300 years and its uses date back to the ancient civilizations of Persia, Asia, Greece, Rome and Egypt. 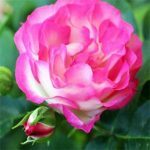 Bulgarian Rose Otto stands alone there is quite simply, no other quite like it in terms of fragrance and wealth of therapeutic healing benefits. With an extremely high vibration frequency (320mhz) it is actually the highest vibration frequency of all essential oils on the planet. Research tell us that the pharmacological effects of Rosa Damascene are widespread. Most of the central nervous system effects are hypnotic, analgesic, and anticonvulsant effects. 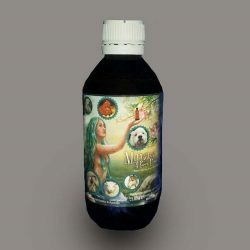 The respiratory, cardiovascular, laxative, anti-diabetic, antimicrobial, anti-HIV, anti-inflammatory, and antioxidant are other positive effects.